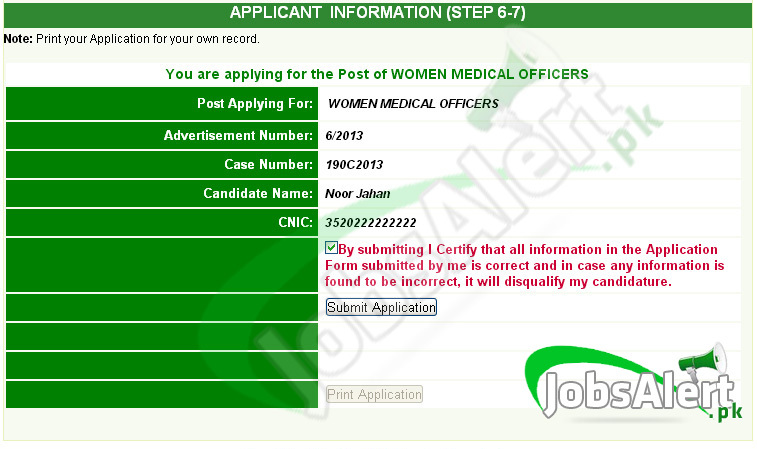 This step includes verification of one’s submission of application and as one click the submit button than that text will be forward to the candidate’s email that the application form has submitted successfully and give you a code of application and ask for CNIC number so provide the CNIC number and one will get a web generated application which will be required at the time of interview or written test. Post for which one is applying fill that column. Write the advertisement number and case number too. And the name of candidate and its CNIC number also. Now it’s time to click the option submit and certify that all information given is accurate if any wrong information is found so the form will not be accepted.